How do we live out the gospel in our lives? What we believe about the gospel determines how we will follow the Great Commission and make disciples. 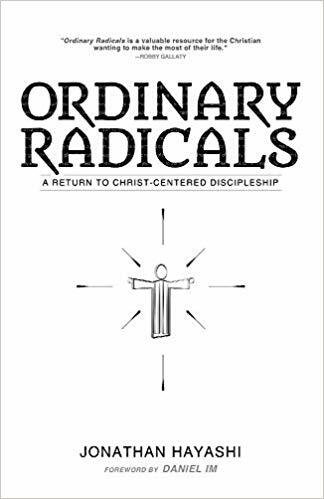 Ordinary Radicals lays bare the roots of the gospel, reinforcing the command and privilege of the Great Commission. Church leadership must be focused on discipleship. If you have a leadership problem, you have a discipleship problem, and if you have a discipleship problem, you have a Great Commission problem. Why bother with discipleship? Because the cost of non-discipleship is too great! Living with radical abandonment for God’s glory, faithful adherence to His person, and urgent obedience to His ministry is the only way to live a successful, fruitful Christian life. This book offers a step-by-step process for living out the Great Commission to revolutionize the world through the local church.